I feel lucky to be living in a beutiful city like Istanbul. Although I cannot share everything this cosmopolitical city has to offer, I will do my best to show you how nature and history harmoniously fit together in this old city. You may click on the below below pictures for larger views. Also, refer below for explanations. 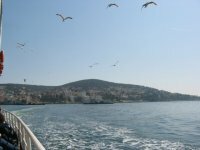 The Princess Islands are a set of 5 islands just outside of the main city of Istanbul. 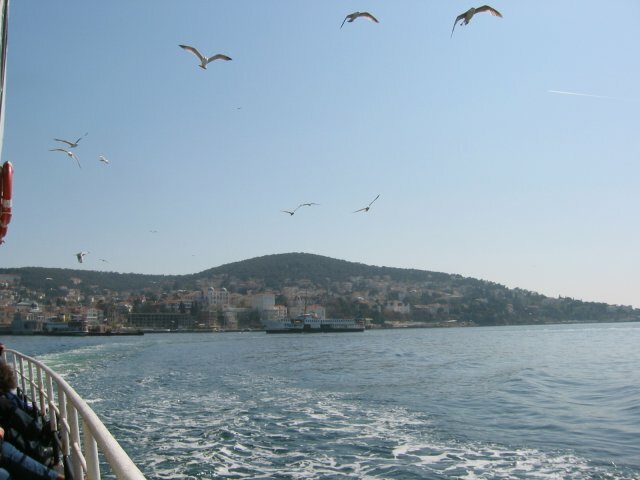 I spend part of my summer every year on Buyukada, the largest of these island. So, I can honestly say that these islands are a must see for everyone, with their different nature, history and ethnic background. For further information and pictures on Buyukada, please click. Bebek is one of the most beautiful districts on the European cost of Istanbul. 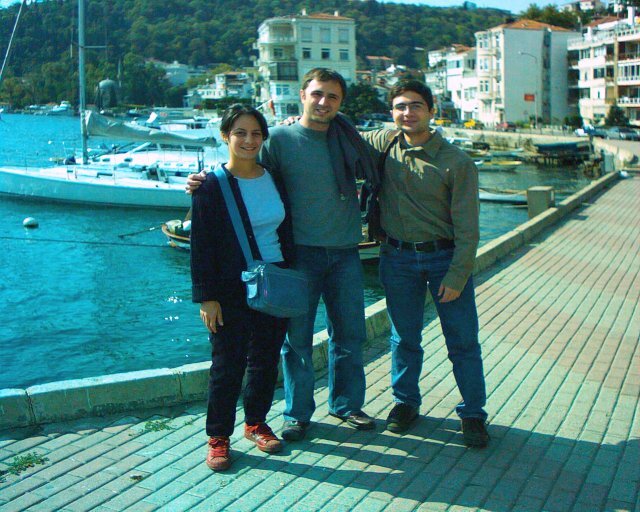 It is easily accesible from Bogazici University, which is located very close to Bebek. The picture was actually taken in the 3 hour interval between our courses. My friends in the picture are Pemra and Ugur. 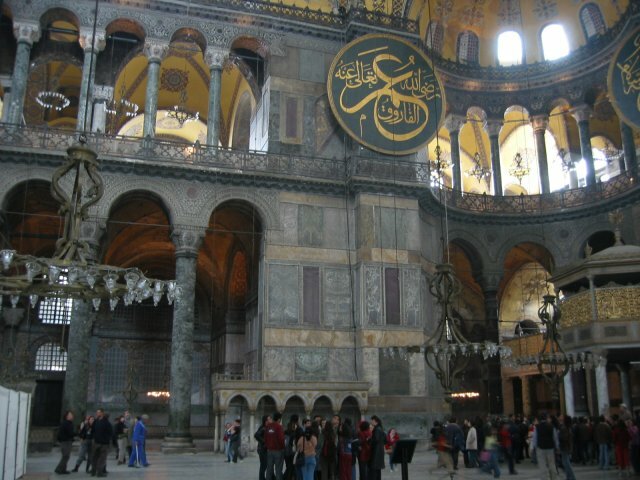 The Hagia Sofia is a well known historical attraction in Istanbul. It was built as a cathedral in the Byzantine times and converted into a mosque when the city was conquered by the Ottoman Empire. 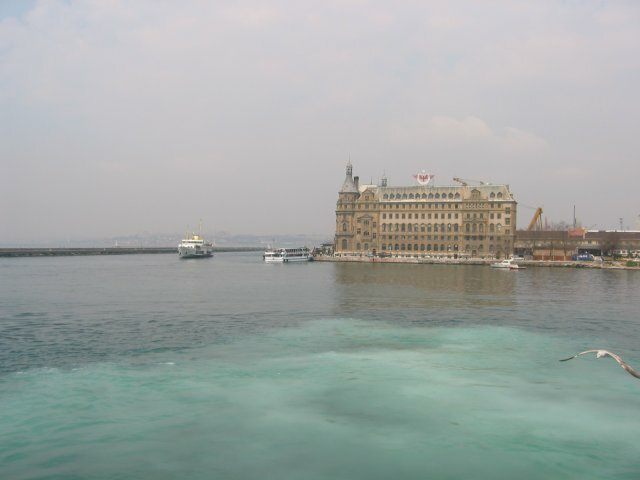 The building in the picture was built at the beginnig of the 20th century by the Germans as a sea port and train station. 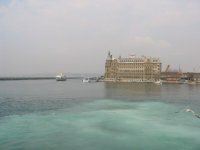 Haydarpasa is actually located very close to Kadikoy, which is one of the best residential areas on the Anotolian side of the city.